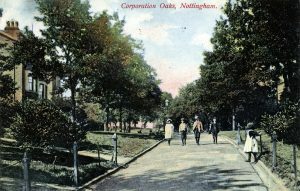 An unusual, if not unique, feature of Nottingham’s Historic Green Spaces is the walks. In the first half of the 19th century, two Government Committees of Inquiry recommended ‘promenading’ as a respectable alternative to the attractions of the pub and music hall. 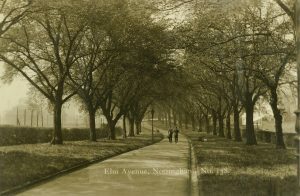 The 1845 Enclosure Act created four walks as places for gentle exercise and socialising, and as attractive green spaces amongst the newly built houses that were springing up around them. Queen’s Walk follows the route of a long-established pathway across The Meadows from Broadmarsh to Wilford Ferry (now Wilford Bridge). It was line with benches and planted with lime trees. 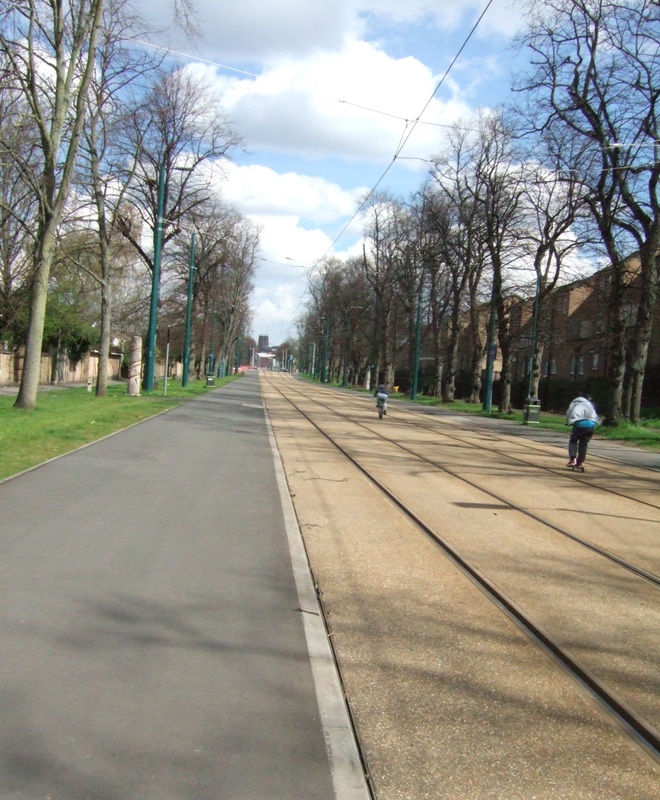 It is now the route of the tram from Clifton to the city centre. Elm Avenue, Corporation Oaks and Robin Hood Chase also follow traditional pathways. Elm Avenue was originally planted with elm trees; unfortunately, none have survived. It runs up one side of St Ann’s Hill (originally called Toad Hole Hill), and circles Bellevue Reservoir where it becomes Corporation Oaks, named because members of the Town Council planted oak trees along its length, though again none survive. Going down the other side of the hill, Corporation Oaks joins Robin Hood Chase which connects to St Ann’s Well Road. 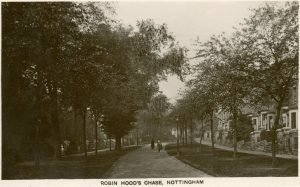 The Well was traditionally also called Robin Hood’s Well. Robin Hood Chase, St Ann’s, Nottingham.